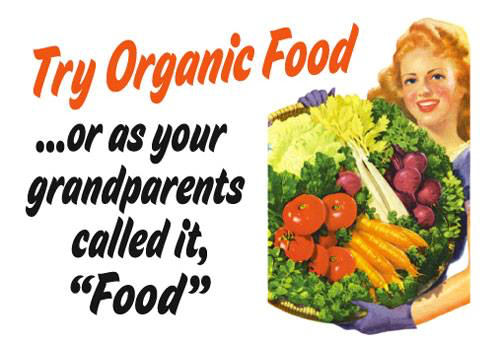 I published this study over a decade ago because it is still highly significant even now There have been many studies on organic food from a variety of perspectives since then, but this is one of the best! I recently updated the articles to include some pertinent facts about GMO crops, which were not a factor at the time of this study. This fertilizer study was done before the advent of GMO’s (genetically modified organisms). Today, non-GMO and organic crops are even more important than ever! The difference between organic crops and GMO’s is far, far greater than the difference between non-GMO and organic crops — especially when it comes to fertilizers, the original point of this study. You see, GMO crops are genetically engineered specifically to survive many times the application of chemicals like Monsanto Roundup (glyphosate) and 2,4-D. Normal plants would just die. Making GMO crops more resistant to toxic chemicals that would kill organic crops really only does one thing, regardless of the company hype — it sells more pesticides and herbicides. Some of Monsanto’s most profitable chemicals were originally chemical weapons in World War II and are so profitable that they STILL are selling them, but not to the military — to our farmers. 2,4-D was originally used as part of the infamous, Vietnam era chemical weapon, a defoliant called Agent Orange. 2,4-D has been linked to non-Hodgkin’s lymphoma, lowered sperm counts, liver disease, Parkinson’s disease and many other adverse effects, and is one of the largest sources of dioxins in our environment. Dioxins are highly toxic and build up in your body and the environment over time. Also, 2,4-D sticks around in the environment. It can actually drift through the air from where it is sprayed to a nearby organic farm — or be tracked inside your house by pets or children. In fact, the EPA has already detected 2,4-D in our water, including drinking water. It can also poison small animals that ingest it after eating grass contaminated with 2,4-D. Yet despite the obvious health risks, in 2014 the U.S. Environmental Protection Agency approved the combined use of 2,4-D and Monsanto’s Roundup (also known as glyphosate) is sprayed on GMO crops (Enlist soy and Enlist corn), engineered to be resistant to these toxins. Basically, its now completely “legal” for farmers to soak their fields with high concentrations of these toxic weed killers engineered to resist Roundup (glyphosate) and Enlist (2,4-D). The U.S. Department of Agriculture has estimated that by 2020 America’s farms could be spraying as much as 600% more 2,4-D on our crops! This practice is now actually destroying the genetic diversity of our crops. It is also destroying the soil, which is now no longer truly alive (with living bacterial organisms that have a lot to do with a plant’s nutritional uptake. This practice also creates new super weeds that cannot be killed easily, resulting in even more Roundup and glyphosate being sprayed by the poor, hapless farmers. This has gotten so out of hand that it can actually be more profitable today to be an organic farmer than to grow GMO crops at all — which were supposed to save the farmer with higher yields and cheaper farming methods. But that’s not at all how things turned out! In 1958, Bo Pettersson began an agricultural experiment that lasted for 32 years. The focus was primarily on aspects of crop quality, and the fertilizer application rates for the various treatments were adjusted to bring about comparable yields. Interestingly, though one of the goals was to get similar yields from both organic and conventional farming, there were some surprising results! Crop yield increases were significantly higher with the organic treatments. Though crude protein content of potatoes and wheat was lower in the organic treatments protein quality was higher. Resistance to decomposition and store quality for potatoes were higher in organic treatments. Wheat starch quality seemed to be higher. The organic treatments resulted in a higher soil fertility and in crops with higher quality protein, a higher starch content and greater ability to tolerate stressful conditions and long-term storage vs. the inorganic treatments. Crops produced in organic treatments showed a structure that has a higher “organizational level. In 1958, Bo D. Pettersson in the Nordic research Circle for Biodynamic Farming in Järna, Sweden, began an agricultural field experiment that lasted until 1990, i.e. 32 years. The field experiment included eight different fertilizer treatments, each with a four-year crop rotation without repetitions: summer wheat, lover/grass mix, potatoes, beets. The focus was primarily on aspects of crop quality, and the fertilizer application rates for the various treatments were adjusted to bring about comparable yields. Two “daughter experiments” emerged from the K-experiment and were run in parallel with the mother project during 1971-1976 in Uppsala and 1971-1979 in Järna. In these experiments a comparison was made between two systems, biodynamic farming and conventional farming, in which both fertilizer regimes and crop rotations were studied. One of the main objectives in the K-experiment, i.e. to obtain nearly the same yield over the experimental period in the organic-treatment variants and in the inorganic treatments has largely been achieved, but there were differences between crops. During the time between 1958 and 1990 the yield increased in all treatments in accordance with the overall trend in the Swedish agriculture, but the increase was highest in the organic treatments (65% in the biodynamic in comparison with 50% in the conventional). The effects of the different fertilizer treatments on product quality are in accordance with findings in the two “daughter experiments” which were based on the original K-experiment. Compared with the conventional treatments, the crude protein content of potatoes and wheat was lower in the organic treatments, but protein quality was higher (i.e. relatively pure protein and essential amino acids, lower amount of free amino acids). Resistance to decomposition and store quality for potatoes were higher in the organic treatments, and in wheat starch quality seemed to be higher. The organic treatments resulted in a higher soil fertility capacity and in crops with higher quality protein, a higher starch content, and a greater ability to tolerate stressful conditions and long-term storage in comparison with the inorganic treatments. Furthermore, the crops produced in the organic treatments developed a structure that can be studied through a picture formation method (Crystallization with CuCl2). This has also been described as a higher organizational level which is evident in terms of both soil and crop formation as a result of the long-term effects of organic manure compared with conventional NPK-fertilizer. New experiments in Sweden and Finland have been started to study the effects of different organic treatments on farms. Preliminary results of these experiments confirm the described differences between organic and inorganic treatments, but indicate also that the effects of liquid organic manure on quality parameters are more similar to those of inorganic fertilizer. In 1958, Bo D Pettersson and the Scandinavian Research Circle in Järna, Sweden, began an agricultural field experiment to determine in what ways various types of fertilizers affect the soil and final quality of grain and vegetable products. Various quality parameters and quality-assessment methods were developed and tested during the experiment period which spanned 32 years (up to 1990), and several reports have been published (Pettersson, Reents & Wistinghausen, 1992). Two “daughter experiments” emerged from the K-experiment and were run in parallel with the mother project during 1971-1976 in Uppsala and 1971-1979 in Järna (referred to as UJ-experiments in the following text). In these experiments a comparison was made between two systems, biodynamic farming and conventional farming, in which both fertilizer regimes and crop rotations were studied (Pettersson, 1982; Dlouhy, 1981). Before that, the influence of these systems on quality parameters for potatoes under different climatic and soil conditions also had been studied in different parts of Scandinavia (Pettersson, 1970). The K experiment was located at 59° North, 17° East at an elevation of 10 m above sea level. The mean yearly precipitation was 550 mm, and the mean annual temperature was 6 degrees C, with 6-8 snow-free months per year. The soil was a silty loam with an intermediate humus content. Experimental Layout: To ensure that the field experiment could be used for the plant quality assessments while providing the flexibility to support other experiments that had yet to to designed, a very broad basis was adopted. This scheme included eight different fertilizer treatments, each with a 4-fold crop rotation without repetitions. The size of each subplot was 36 m² gross, with a net harvestable area of 27 m². The Crop Rotation: Within each fertilizer variant the following crops were rotated without interruption so that in any given year all four would be present: summer wheat (undersown with clover/grass), clover/grass mix, potatoes and beets. Table 1. The fertilization program (application rates of N- tot, P and K in kg/ha/yr averaged for the years 1958-1990 in parentheses). K3. Raw manure (95/30/91): with horn and bone meal added to reach 1% contents. K4. Raw manure + NPK (63/28/66): half the K3 manure rate; half the K6 NPK rate, resp. K7. Inorganic NPK(59/36/81): twice the rate applied in K6. K8. Inorganic NPK(114/36/81): as in K6 but 4 times the N rate and twice the P and K rates. Table 2. Breakdown of the fertilization scheme within the rotation, in %. In the UJ experiment conventional (A) and biodynamic (B) treatments were compared with each other in two crop rotations as described below for the experiment in Järna (table 3): Crop rotation 1 represented a rotation without animals, and crop rotation 2 represented a system with animals related to an organic farming system which under Nordic conditions is self-sufficient with fodder with 0.8 CU (cattle units)/ha (average 50 kg N/ha and year). The field conditions were almost the same as those in the K-experiment. A split-split-plot design was used with three replications. All crops were grown each year. The soil was a silty loam well supplied with plant nutrients but with a low humus content. The weather was drier than normal for the region during the first years of the experiment period and had a strongly negative effect on the yields of the grain and ley. During 1971-1976 a parallel project was carried out in Uppsala (called UJ-experiment Ultuna) with the same treatments as in Järna (for more details see Dlouhy, 1981). The soil was an intermediate clay, well supplied with plant nutrients and moderately rich in humus. Table 3. Crop rotation and fertilization scheme in UJ Experiment in Järna 1971-1979. Yield in the K-experiment. The summer wheat and beet yields were increased by fertilization, and a considerable difference was also found between the K1 (compost + B-D sprays) and K2 (compost without sprays) variants. Yields of clover/grass declined in response to fertilizer treatment and were highest in the organic variants. A decrease in the yield of the legume mix can be expected to result in a reduction in nitrogen fixation (Table 4). In the K5 variant that did not receive any fertilizer for 30 years, the yield of ley was on the same level as that in the other treatments, and also here, the yield tended to increase over the period, although the increase was not as pronounced. In terms of their 32-year averages, the yields are all comparable with the exception of the control variant (K5) and excluding data from the conversion period for the organic treatments. All yields except for those of the unfertilized variant (K5) increased with successive rotation periods (figure 1). The figures indicate that there was a conversion period of about 8 years during which the yield level was lower in the organic treatments. Data on soil physical properties, soil chemistry and soil biology were collected after 19, 28 and 32 years in the K-experiment (Pettersson, Reents and Wistinghausen, 1992). The analysis of soil data shows that nearly all chemical (pH, P, K, Mg, C and N) (macronutrient availability was an exception) and biological parameters (respiration, DHA, urease, earthworms) assessed were improved by organic fertilization whereas no such improvements were observed following the application of mineral fertilizer. Similar results concerning soil parameters were obtained in the UJ-experiment (Pettersson, 1982). In the UJ-experiment at Järna, humus contents had increased significantly after 9 years (by more than 10 percent) in B2 compared with the recent value of 2.72 percent and the value of the conventional treatment of 2.74 percent (A2B2 P<0.001). The mineralization capacity of the soil was studied in summer wheat after potatoes (the third year after ley) in the K-experiment. Net mineralization in the soil was estimated by measuring the mineral nitrogen content of soil samples taken in spring and at harvest and by determining the total nitrogen uptake of the spring wheat crop (Granstedt, 1992). The mean mineralization capacity during 1988-1990 was, on average, 95% higher (i.e. 106%, 146% and 33% higher) in the organically farmed treatments as compared with the treatments receiving commercial fertilizer. The higher mineralization capacity compensated completely for the absence of applied mineral nitrogen in the organically farmed treatment. In the organic manure system we built up a more stable and higher mineralization capacity compared with the commercially fertilized treatments. Quality of potatoes in the K-experiment (1958-1989) and UJ-experiment (1971-1979) comparing biodynamic and conventional farming. The average tuber yield in the K-experiment was nearly the same in the organic and conventional treatments, whereas the yield was significantly lower in the unfertilized treatment (287 dt/ha). During years with higher precipitation, when conditions were more conducive for the mineralization of nitrogen in organic manure, organic treatments tended to outperform the conventional ones. In both UJ experiments, with shorter experiment periods, the yield was significantly lower (ca 20 percent) in the biodynamic treatments, partly owing to the higher yield losses caused by Phytophtora since pesticides were used in the conventionally fertilized treatments. This difference was partly compensated for by a better storability of the biodynamcially produced potatoes. There was a clear tendency for dry matter content to be higher in the biodynamic treatment than in the conventional one in both the K-experiment and in the two UJ-experiments. Dry matter content was significantly higher in both B1 and B2 compared with the conventionally fertilized systems A1 and A2. The level of crude protein was determined on the basis of Kjeldal-N, whereupon the pure protein was precipitated with CuSO4 and NaOH and expressed as per cent of the crude protein. In terms of crude levels of protein in percent of dry matter a clear gradient was found from low levels in the organically grown samples to high levels in the conventionally grown ones. The crude protein content was also significantly higher in the inorganic treatments in both UJ-experiments (figure 2), but the content of relatively pure protein was significantly higher in the biodynamic treatments than in the inorganic ones. The content of the free amino acids was measured by titration with feromol according to Sörensen. In the K-experiment the contents of these low molecular-weight, non-protein nitrogen compounds were lower in the organic treatment K1 than in K8 in all 19 studied years and lower in K1 than in K7 in 13 of the 19 years during which this parameter was studied during the experiment period. The higher protein quality of the organically grown crops was confirmed by comparing the relative content of essential amino acids and the biological value of protein, expressed as an EAA-index value (Dlouhý, 1981; Pettersson, 1982). Figure 2. Potatoes. Crude protein in percent of dry matter. The enzymatic darkening of raw, exposed potato tissue was measured with a reflectance attachment on a photospectrometer (described by Pettersson 1982). The speed of darkening of potato-tissue extracts was measured photometrically daily for four days at 530 nm. Both methods are described by Pettersson and E. v. Wistinghausen (1979) and Pettersson (1982). In the K and UJ-experiments both methods were used for evaluating the browning of the potatoes. The darkening of extract was greater in K1 than in K8 in 18 of the studied 24 years and greater in K1 than in K7 in 17 of the years. The UJ-experiments revealed that discoloration was more pronounced and developed faster in the chemically-fertilized variants than in the organically fertilized ones, and the difference was significant (P<0.01 in the UJ-experiments). water extract (Rd/Ro = the maximum decrease in the electrical resistance, in percent of the starting value in extract dissolution 1:10 during 4-5 days, according to Pettersson, 1982), decomposition values were generally lower for the organically grown variants than for the others (24 of 24 studied years in K1 compared with K8 but only in 15 of 24 years in K1 compared with the K7). Differences similar to those obtained between K1 and K8 were found in the comparison of conventional and biodynamic treatments in the UJ-experiments (P<0.01 in the UJ-experiments). Storage tests were conducted harvesting in? April in 20-kg bags. The storage losses was measured in percent of the initial weight and included losses through respiration and damage caused by storage fungi, etc. In the K-experiment storage losses tended to be lower in the organic treatments than in the inorganic ones (9 of studied 11 years). This difference was even more pronounced in the UJ experiment at Järna and Uppsala (Figure 3) (P<0.05 and P<0.1). Frequencies of infection were significantly lower in treatments K1 and K2 (composted manure) and in K5 as compared with K8 ( high rate of NPK), and K3 and K4 (raw manure) over the 14­year period during which this parameter was studied. In the UJ-experiments the conventional treatments were treated with fungicide, and the yield difference was highest during the years with high infection levels (4 years). Although the spread of values was great with this testing method, a similar trend in the results was, nonetheless, seen, with lower values (i.e. less in vitro infection) in the organically grown samples than in the conventionally grown ones. As with the foregoing results, these tests (Engqvist, 1970; Pettersson, 1982) revealed a similar trend, with organizational traits in the tissues being better in the organically grown samples than in the conventional ones. In the K-experiment, this was true for all studied years between 1966 and 1989. The effects of ley and barley on quality parameters of succeeding crops differed in some respects. For example, potatoes following a ley tended to show a higher degree of extract dissolution and to have a higher nitrate content compared with potatoes following barley in the UJ-experiment. This type of farming-system effect was not possible to study in the K-experiment which was strictly a fertilization experiment. Figure 4. Potatoes. K-experiment 1958-1989, UJ-experiment in Järna 1971-1979, UJ-experiment in Uppsala 1971-1976. Difference, in percent, between the biodynamic treatments and the conventional ones for parameters..
Average yield levels in K1 and K8 were nearly the same. For K2, in which no biodynamic field preparation was carried out, the yield level was significantly lower, and differences were highest during years with a low yield level. In the UJ-experiments, with shorter experimental periods, the yield levels were significantly lower in the biodynamic treatments. In wheat as well, the crude protein content was higher in the inorganic treatments in the K-experiment and in both UJ-experiments (Figure 5). However, the content of relatively pure protein was higher in the biodynamic treatments in the K-experiment and higher in the UJ-experiment at Järna (P<0.01 and P<0.1) That the protein quality was higher in the organic treatments was also confirmed by the index for the essential amino acids (EAA-index, Figure 5 a), which was significantly higher in the biodynamic manured systems during the years when it was measured in the UJ-experiment. Figure 5 a. Index of essential amino acids in the UJ-experiments. Figure 5 b. Amylase activity in wheat in the UJ-experiments. Figure 6. Wheat. K-experiment, 1958-1989, UJ-experiment in Järna, 1971-1979, UJ-experiment in Uppsala 1971-1976. Difference, in percent, between the biodynamic treatments (K1) and the conventional ones (K8) for quantitative and qualitative parameters for wheat. Final discussion concerning the significance of the studied quality parameters. In the UJ experiment at Järna significant correlations were observed between crude protein content and most of the studied parameters in both potatoes and wheat (Pettersson, 1982). For potatoes this parameter was correlated with dry matter content (negative, P<0.001), relatively pure protein (negative, P<0.01), EAA-index (negative, P<0.001), ascorbic acid content (negative, P<0.001), cooking quality (negative, P<0.01), taste quality (negative, P<0.001), free amino acids (positive, P<0.001), extract dissolution (positive, P<0.001) and darkening of extract (positive, P<0.001). For wheat, the correlations were with EAA-index (negative, P<0.01), extract dissolution (positive P<0.001) falling number (positive P<0.05), gluten content and baking tests (positive, P<0.01). It can thus be concluded that cereals with a high crude protein content, which is generally desired by the baking industry, tend to rank low in terms of biological and physiological quality parameters. Similarly potatoes with a high crude protein content tend to rank low in terms of biological and physiological quality parameters and taste. The studied parameters were divided into three groups: chemical/biological, physiological and a third called morphological. Parameters falling into the last-mentioned group has been studied through a method based on observations of the morphology of stems in potatoes and a picture formation method (Crystallization with CuCl2). It was assumed that the lower quality of the crops, assessed in terms of these parameters studied here, in the conventionally fertilized systems is similar to what would have been found had the plants been grown under more shaded conditions. Likewise, the higher biological value of the protein and the higher values found for quality parameters are similar to what would have been expected had the plants been grown under full light. In the interpretation, the organic treatments are described as having the same effect as an increase in solar radiation, and likewise, the effects of NPK-treatments are analogous to those induced by an increase in shade (Pettersson, 1982). The better protein composition, with a lower content of free amino acids, and better storage properties were attributed to the higher organization level resulting from the organic and biodynamic fertilizing systems. The higher “organization level”, reflected in the higher biological value of the protein and lower content of free amino acids not used in protein synthesis, was correlated with better resistance against pests, less darkening, less extract dissolution and lower losses of potato during storage. Future research should be aimed at improving our understanding of the significance of these qualitative values in terms of their effects on the human health. Upon completion of the K-experiment, a new experiment was begun in both Sweden (1992) and Finland (1995) in which different manure systems were compared in connection with various types of crop rotations on organic farms. The aim is to gain a better understanding of the differences between composted, non-composted and liquid manure in terms of their effects on the parameters discussed here and to develop effective methods for regularly testing product quality. In addition, the biodynamic preparation treatments are being studied so that their effects can be predicted more reliably. Preliminary results from studies in potatoes in Finland indicate that the use of liquid manure, like mineral fertilizer, tends to decrease the biological value. The ultimate goal is to tailor the fertilizing regime to the soil, climate and crops in a way that offers both a good yield an a healthy product with a high nutrient value. Dlouhy, J. 1981. Alternativa odlingsformer – växtprodukters kvalitet vid konventionell och biodynamisk odling (Alternative forms of agriculture – quality of products from conventional and biodynamic growing. With English summary). Swedish University of Agricultural Sciences. Dep. of Plant Husbandry. Report 91. Uppsala. Engqvist, M. 1970. Gestaltkräfte des Lebendigen. Vittorio Klostermann, Frankfurt am Main. Granstedt, A. 1992. The potential for Swedish farms to eliminate the use of artificial fertilizers. American Journal of Alternative Agriculture. Vol 6. Numb. 3, 122-131. Granstedt, A. 1995. The mobilization and immobilization of soil nitrogen after green manure crops. I: Proceedings of the third international conference, Soil management in sustainable agriculture, 31 August – 4 September 1993. Wye College. University of London, 265-275. Pettersson B.D. 1970. Verkan av växtplats, gödsling och tillväxtreglerande substanser på matpotatisens egenskaper. (Influence of growing locality, manure and growth regulating substances on the quality properties of potatoes Nordisk Forskningsring. Meddelande nr 23, Järna. Pettersson, Brinton & v, Wistinghausen, E.v. 1979. Effects of organic and inorganic fertilizers on soils and crops. Results of a long term field experiment in Sweden. Nordisk Forskningsring, Meddelande Nr. 30. Järna. Pettersson, B. D. 1982. Konventionell och biodynamisk odling. Jämf`rande försök mellan tvD odlingssystem. (Investigations within Conventional and Biodynamic Farming Systems. Summary in English). Nordisk forskningsring, Järna. – Ergebnisse eines 32-jahrigen Feldversuches in Järna, Schweden.Nordisk Forskningsring, Meddelende nr 34. Järna.